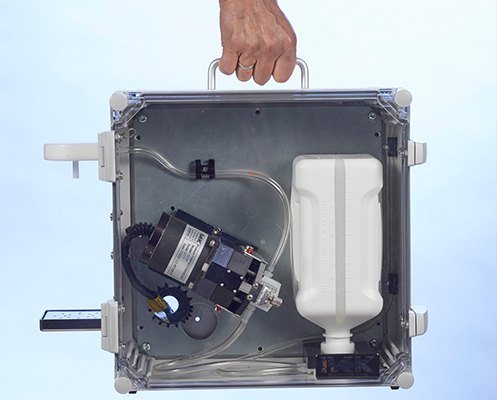 NEW all-in-one portable,secure, easy clean, controlled substance dispersing station option available. 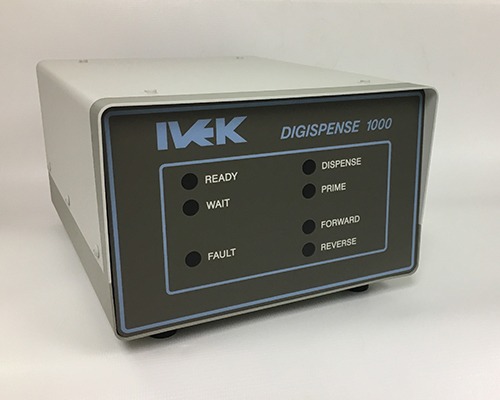 The IVEK Digispense® 1000* is a precise, high speed, low volume, positive displacement liquid dispensing system. The DigiSpense® 1000 is capable of extremely high accuracy and repeatability and is often used for dosing pharmaceuticals, where inventory control and accuracy are critical. The wetted components include 99.8% pure Alumina ceramic piston/cylinder modules. These components are mated together to a clearance of 120 millionths of an inch. With only one moving part in the fluid path, systems operate for many years without measurable wear. A USB and RS232 interface port on the controller offers our customers a turnkey solution supported by most addiction treatment software. IVEK Corporation has been manufacturing precision positive displacement dispensing systems specifically for use in addiction management programs for over 30 years. These systems are noted for their reliability, low maintenance and high precision fluid handling and are placed in treatment clinics worldwide.